Home / How-Tos & Tutorials / News & Blogs / Genealogy Insider / What Is Census Soundex Microfilm? What Is Census Soundex Microfilm? 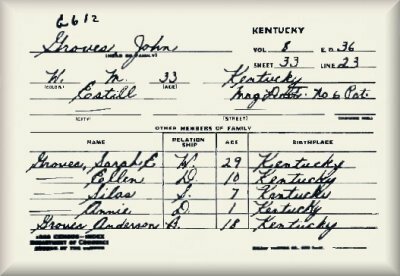 The Soundex system is a way of coding similar-sounding surnames to help you find ancestors whose names were misspelled in census records or indexes. You can use FamilyTreeMagazine.com’s online Soundex generator to figure out the code for your surnamemine is H-330. Once upon a time, genealogists would look through an actual card catalog, organized by state and then by Soundex code, for index cards with their familys name. The cards looked like this (click to see one), and told you which census volume and sheet listed your family. Eventually, the index cards were microfilmed. The National Archives and Records Administration and the Family History Library have Soundex film for all the states; many state archives, large public libraries and genealogical societies have Soundex film for their states, too. Nowadays, census databases such as Ancestry.coms ($155.40 per year) and HeritageQuest Onlines (free through many libraries) automatically search for surname spelling variationsthat’s why so many modern researchers haven’t used Soundex. But many genealogists swear by Soundex microfilm indexes for locating especially hard-to-find ancestors in census records. One of our Two-Second survey respondents commented that he or she never uses any other form of census index. Theres an endorsement! I have only used the Soundex Index a few times but it definitely has it’s place. For one of my ancestors the actual census page is completely faded and unreadable. However, the Soundex Index card for my ancestor has quite a bit of the information that was originally contained on the census page and I can use it to supplement the mostly unreadable census. As a genealogy teacher, I teach my beginner students about how to use Soundex searches. When their eyes glaze over and they just want to use the Internet databases, I demonstrate HeritageQuest Online and Ancestry.com for finding my husband’s ZIEROW family in 1900 New York. Ancestry.com doesn’t have them listed at all. HQ has them indexed but they aren’t on the page it is linked to–they are there but the big blob at the bottom of the HQ page covers them up. Ancestry.com’s page doesn’t have the blob but the family was indexed with the surname LYCOW instead of ZIEROW. The 1900 Soundex card shows their name clearly and spelled correctly as does the FHC film.